Absenteeism is a growing concern throughout Quebec Adult Education. Some of our students do not attend class regularly while some of our younger adult learners might be “pushed” by their parents to go to school. The end result is that many teachers lose time catching up students or get frustrated working with students who just don’t want to be there. How do we tackle absenteeism? 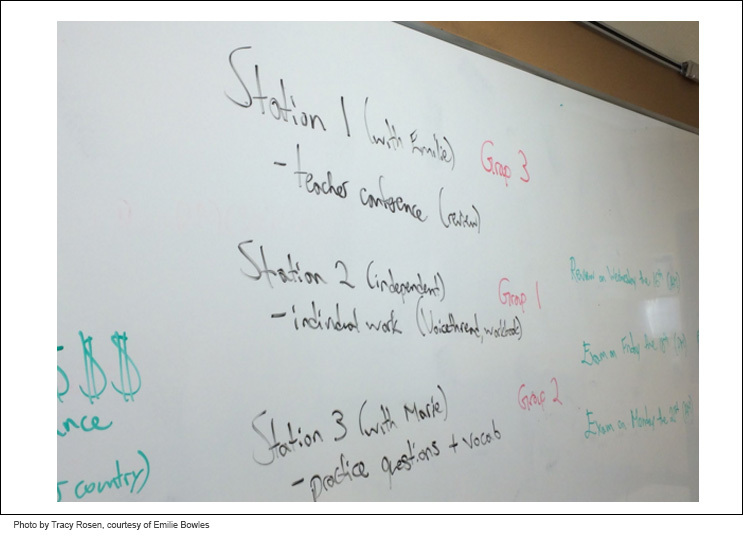 The biggest benefit of the station rotation model is that it provides teachers more time to connect on a personal level with small groups of students. A simple station rotation model could include a teacher station, group work station, and a research station. Laptops and mobile devices can be deployed at stations to help students work on self-directed research or production tasks. Emilie Bowles (Nova, NFSB) has recently started experimenting with stations in her adult education history class. While Emilie hasn’t noticed a change in attendance yet, she does find that she has more face-to-face time with the students and that they’re getting better exposure to the material. Gamification is NOT about playing video games. It’s about taking the engaging and motivating aspects of video games and applying them in a traditional classroom context. In Quebec adult education, we’ve created gamification inspired models (see Shanna Loach’s model, ETSB) as a way to recognize student progress and as a road map for students for what they need to know before they can take the exam. This school year, I’ve worked with two teachers, Andrey Kutash and Katie Cashion, at the Nova Career Center, NFSB to help adapt Shanna’s model to their specific classroom contexts. 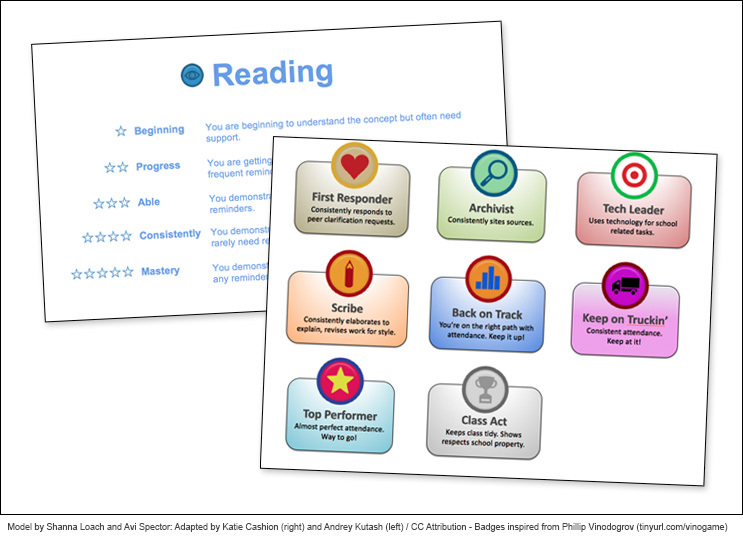 Andrey uses a modified version Shanna’s gamification model to help his students track their overall progress throughout his course. Andrey’s aim is to give his students a better idea of where they are at and what they need to accomplish in order to write their final exam. Katie uses a similar model but she is also experimenting with badges to recognize student achievements, especially around attendance. Katie awards the student with a surprise “badge” if a student has exemplary attendance, consistent attendance, or is back on track. Katie informed me that the badges have been a big hit, even with her adult learners. No matter what age you are, people appreciate being recognized for their efforts! Overall, Katie and Andrey’s models help put a system in place to “develop connections” with the students. The students notice that the teachers are tracking and recognizing their efforts. They are not invisible or just another number. Technology used? Nothing special. We used PowerPoint and Word to create and update the models but students are tracked on printed papers. 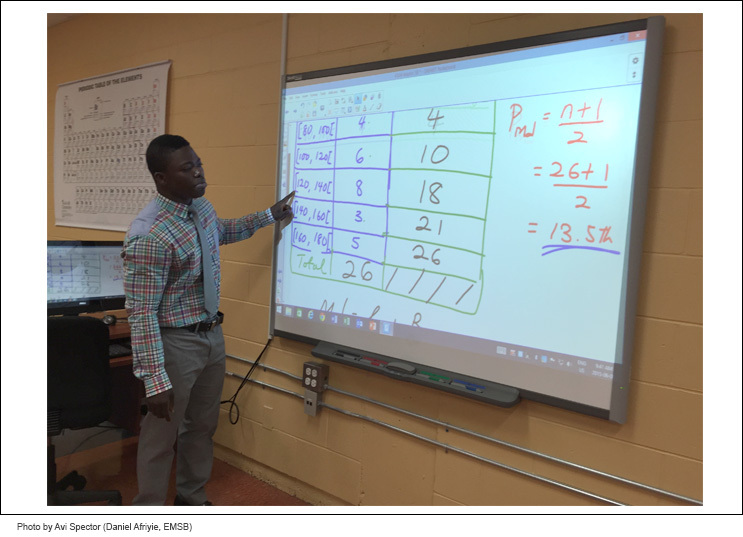 Every semester, Daniel Afriyie (Saint Laurent Adult Centre, EMSB) uses his SMARTBoard to teach his Math 436 lessons. The twist is that he records his in-class SMARTBoard lessons as video files and puts them on a Google Drive for his students. Stronger students can jump ahead using lectures from previous semesters, while weaker, late, or absent students can use the video lessons to catch up what they missed. The best part? There is very little extra work involved for the teacher. No editing. No fussing. Daniel just records his lessons “as is” and uploads at the end of each class. Does putting videos online mean that students no longer come to Daniel’s class? Absolutely not. Daniel explained that his class is NOT just about the recordings. The recordings alone cannot replace the teacher. Daniel says they still come because it’s what YOU as a teacher does with them in the class. Essentially, his videos free up some of his class time so he can spend more one-on-one time when working hands-on with the students. A flipped classroom of sorts. It all goes back to developing connections! Personally, one of the things I like best about Daniel’s approach (especially in regards to absenteeism) is that it can help prevent students from giving up if they happen to miss a class or two. The videos allow them to go back and build upon key concepts that were missed or need review. To learn more about Daniel’s story, I highly encourage you to visit Tracy’s PD Practice blog which features an article on why Daniel records his math lessons and another on how the recording process helps Daniel reflect on his teaching. Both posts contain an interview with Daniel and show his classroom in action. Lastly, what about teachers who don’t teach their lessons on a SMARTboard? Some of the vocational teachers we’ve talked with thought Daniel’s approach could be used to record step-by-step processes during class. Lessons could be recorded with a smartphone or camera and then uploaded to Google Drive. At the end of the day, some adult students have valid reasons to be absent (work, family, etc) while some do not. Is attendance first and foremost an administrative concern (i.e. 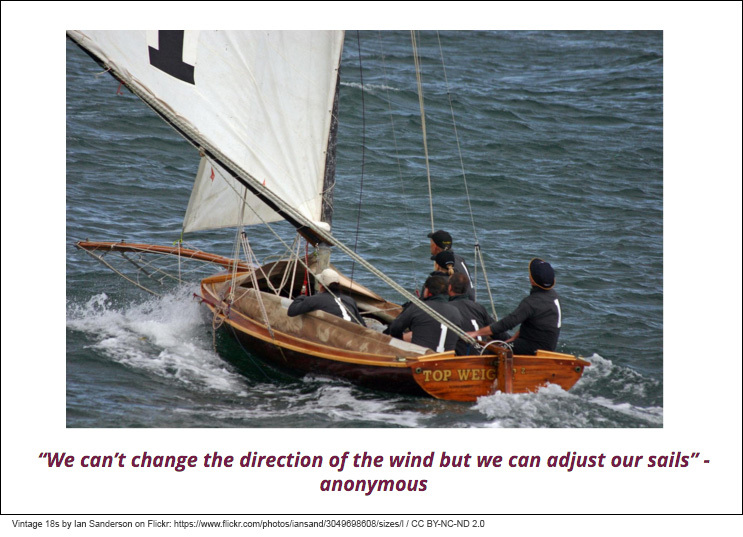 – centre policies) or are there conditions we can create to “change the sails” of the students who are teetering on the edge or are feeling lost? What are your thoughts? Share your comments below! This entry was posted in Teaching Strategies and tagged absenteeism, gamification, stations, video recording. Bookmark the permalink.